Tom Culley is head of marketing at Publons. Discovery in the digital age is unstoppable, right? Wrong. The “always-on” nature of the digital age and the unrelenting force of today’s “publish or perish” culture are grinding down scholars. It has arrived at the point where a peer review invitation is no longer seen as a compliment of one’s expertise in their field, but rather as a curse on their time and the main bottleneck to discovery. This article by Tom Culley originally appeared on the LSE Impact of Social Sciences blog as “As demands on the peer review system are increasing, reviewers are simultaneously becoming less responsive to invitations” and is reposted under the Creative Commons license (CC BY 3.0). Peer review is the gold standard in maintaining the quality and integrity of scholarly communication and its importance grows by the day. At a time when false data and subsequent retractions are on the rise, roughly 68.5 million hours of peer review are needed annually to assess the three million research articles published each year. And yet despite the obvious need for quality peer review, a new report published this week reveals the demand on the system is increasing while reviewers are simultaneously becoming less responsive to invitations. Publons’ “Global State of Peer Review” report prises open the black box of peer review to understand this growing demand and dissidence. The report, which brings together novel results of a survey of more than 11,000 global researchers alongside data from Publons, ScholarOne, and Web of Science, highlights an important disparity from the outset. 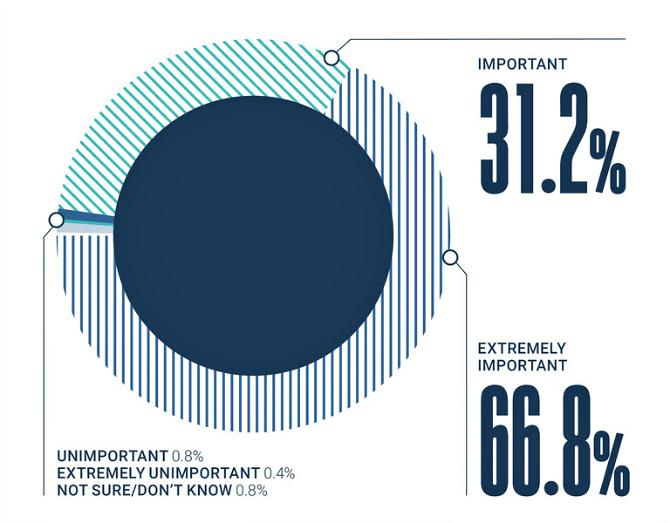 While 98 percent of survey respondents consider peer review either important (31.2 percent) or extremely important (66.8 percent) for ensuring the general quality and integrity of scholarly communication, 84.8 percent believe research institutions need to more explicitly require and recognize peer review contributions to ensure researchers are incentivized to take part. Enter, stage left, Web 2.0 – discovery’s best friend and the bringer of the “always-on” digitally connected world that researchers are part of today. Life is busier than ever, and for researchers it just doesn’t stop. Between teaching, mentoring students, and developing their own research, academics are asked to put time aside to peer review and to do so without the incentives, training, and tools required to drive them forward. With the average time to complete a peer review across all research areas being 19.1 days, it begs the question of who is taking on peer review, and why? The report reveals that worldwide and across disciplines, researchers from established regions such as the USA, UK, and Japan review significantly more than researchers from emerging regions such as China, India, and South Korea. This geographical reviewing disparity can partly be explained by the fact journal editors tend to be from established regions and appear to invite reviewers from their own region at rates higher than expected. This is despite reviewers from emerging regions being more likely to accept review invitations, and completing reviews faster than reviewers from established regions. This regional peer review disparity could be harming the development of non-Western researchers. 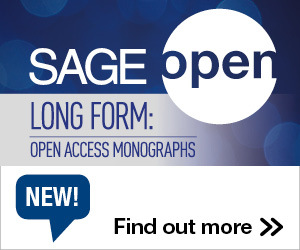 Fewer review invitations mean fewer opportunities to see the latest research trends, learn what journals are looking for in a great manuscript, make professional connections with journal editors, and develop critical analysis skills. 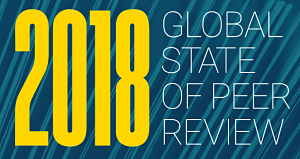 The full Global State of Peer Review report is available to read on the Publons website. It is clear some emerging regions don’t want to be left behind. China, in particular, has produced a surge of research and peer review output over the last three years, and is projected to contribute as much peer review as the USA in 2024 (in absolute terms). With this in mind and in the interests of discovery, editors could ease the peer review bottleneck by venturing outside of their region, or by casting their net wider and sourcing new academics for peer review. While this would help, the problem isn’t for editors to tackle alone. Clear and immediate action points arise from the findings in the Publons Global State of Peer Review report. Greater recognition, training, and transparency are needed to bring a level of trust and efficiency to the peer review process, and this needs to come from across the scientific divide. Funders, institutions, publishers, researchers, and the organisations that connect and serve them all have their own part to play in improving peer review, and supporting researchers to do what is best for research and discovery – in the digital age and beyond. This entry was posted in International Debate, Research and tagged Peer Review, Publons. Bookmark the permalink. Post a comment or leave a trackback: Trackback URL.